Judy Canahuati, Retired Senior Nutrition and Maternal Child Health Advisor and Retired Lactation Consultant, has been recognized by Marquis Who’s Who Top Health Care Providers for dedication, achievements, and leadership in Medicine. Ms. Canahuati is an internationally recognized La Leche League Leader, senior nutrition and maternal child health advisor and lactation consultant. For over five decades, she has been a vital resource for organizations like USAID Food for Peace, CARE USA, La Leche League International and Planned Parenthood. After retiring in 2016, her work lives on in the people’s lives she was able to help. She is the eponym of the Judy Canahuati Breastfeeding Room at the CARE USA headquarters in Atlanta. 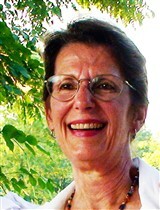 A Marquis Who’s Who Industry Expert and a recipient of an Albert Marquis Nelson Lifetime Achievement Award as well as a Marquis Who’s Who Humanitarian Award, Ms. Canahuati has appeared in Who’s Who in America, Who’s Who in Medicine and Healthcare, Who’s Who in the World, and Who’s Who of American Women. What makes Ms. Canahuati one of the best at what she does is her passion and drive to help others. These qualities go far, especially when considered alongside her education. She received a Bachelor of Arts from the University of Pennsylvania in 1963, and in the early 1970s she received a MPhil in anthropology from Columbia University in 1974. Ms. Canahuati edited the first Spanish language breastfeeding community outreach manual for the USAID supported Breastfeeding Support Center (CALMA) project in El Salvador. She has also provided technical services to the USAID supported National Breastfeeding Program PROALMA in Honduras. Ms. Canahuati first realized there was a need for breastfeeding education after her first child, and has supported this field of learning with the support of her husband and the La Leche League. She is also a contributor to articles and journals in her field, and in 1996, she co-authored “Community-based Breastfeeding Support: A Planning Manual.” She co-produced “Investing in the Future: Women, Work, and Breastfeeding,” in 1995. In 2017, Ms. Canahuati was recognized with the Dory Storms Child Survival Recognition Award. She looks forward to many more years of helping families give babies the best start in life.